Platinum RTD Datalogging Thermometer - Gilson Co. Platinum RTD Datalogging Thermometers are highly accurate and allow direct transfer of recorded data (CSV files) to PC or Mac using a USB flash drive (not included); there is no need for additional software. Temperature range is –130° to 221°F (–90° to 105°C) with 0.01º resolution and accuracy of ±0.2°C across the entire range. Rolling datalogging memory captures temperatures at user-defined intervals from one minute to 24 hours with capacity for a year of recorded data using one-minute intervals. Smart-Alarm™ visual and audible indicators signal continuously until acknowledged. Up to ten alarm events are stored and time-stamped in memory. Also features max/min, difference, and average functions. This two-channel unit is available supplied with one or two 316 stainless steel factory-calibrated Probes for connection to high-impact, chemical-resistant ABS plastic case with 10ft (3M) leads. Replacement probes must be factory-installed and calibrated. 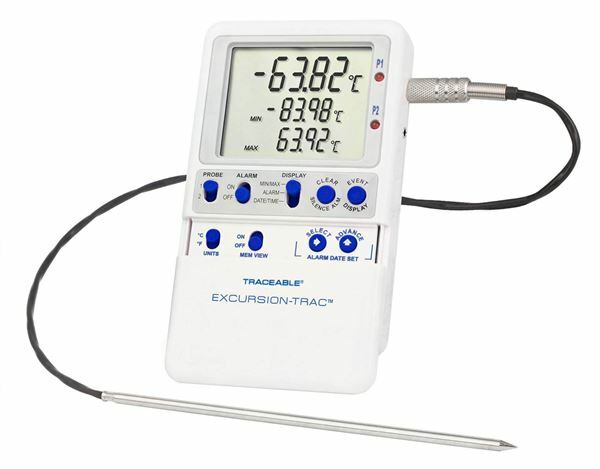 Each CE marked thermometer features NIST-traceable calibration from an A2LA lab and has a unique ID for identification. Includes AAA batteries, AC adapter, built in stand and wall-mount accessories. MA-246 Platinum RTD Datalogging Thermometer has one probe. 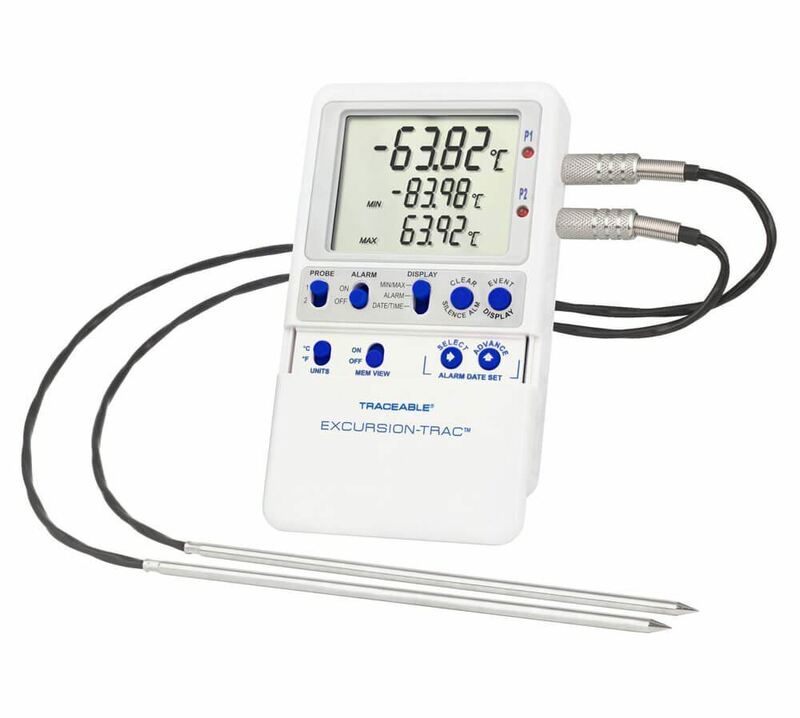 MA-247 Platinum RTD Datalogging Thermometer equipped with two probes.